We spent a total of 12 weeks in Taiwan, the majority of those being in Taipei. We’ve written many posts about how awesome the city is and some cool things to do, but this post is going to sum up everything we recommend to do in Taipei. The thing that makes Taipei great is the stunning nature just beyond its borders. 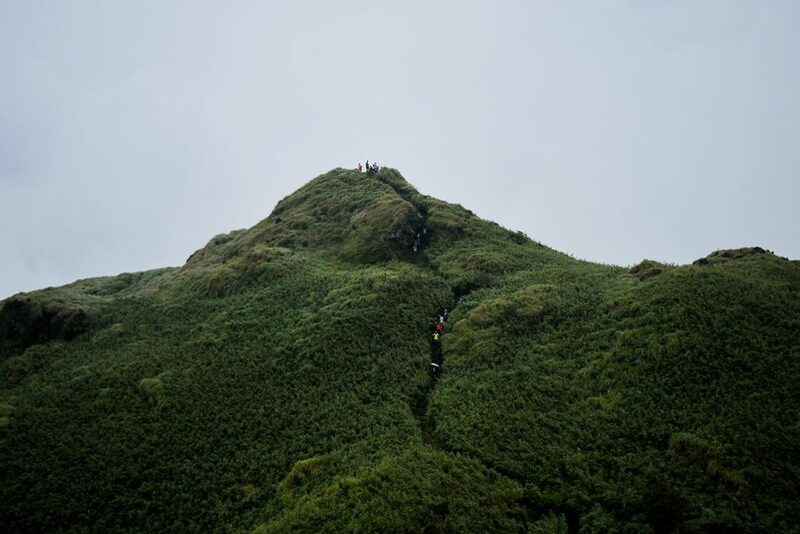 Luckily for visitors and locals alike, Taiwan has made access to said nature quite easy. Just a quick subway or bus ride away you can find many hikes into the wilderness. 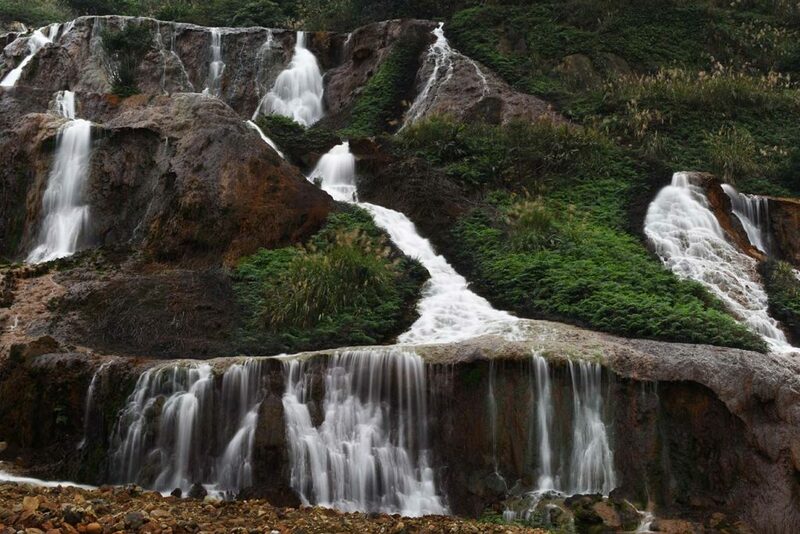 Our favorite treks were Yangmingshan National Park and Neihu District. Both are perfect day hikes from the city and offer trails ranging from easy to strenuous. For awesome views of temples, waterfalls, and Taipei from above, be sure to check them out! 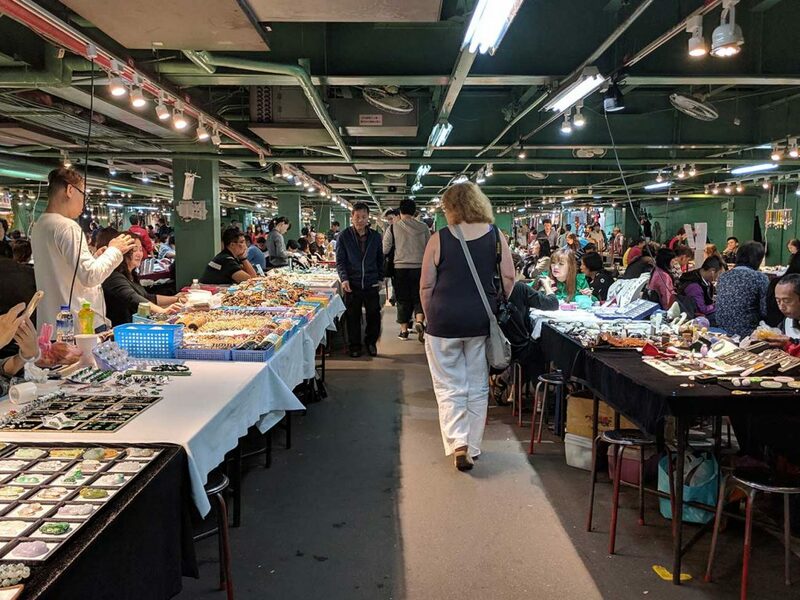 You can’t go to Taipei and miss the night markets. Seriously, they’re everywhere. From massive and tourist-packed to low key and local favorites, you have so many options. Rahoe and Shilin are the most famous of the night markets and are definitely worth visiting. However, we preferred the more local ones. They were less crowded and offered just as good of a food selection. Our favorite was Nanya Night Market in Banqiao. See our post on the best night markets in Taipei for some more info! Eat Xiao Long Bao. Lots of Xiao Long Bao. Also known as soup dumplings, xiao long bao is a must-eat cuisine in Taipei. That savory soup broth inside that soft dumpling is a mouth watering delight that’s calling your name. Check out our post on the best food in Taipei for some tips on where to try xiao long bao. This is the one building you can’t ignore in Taipei. Standing at 509 meters (1,670 ft) tall, it was once the tallest building in the world. It no longer holds the throne but is still a marvelous sight to behold. 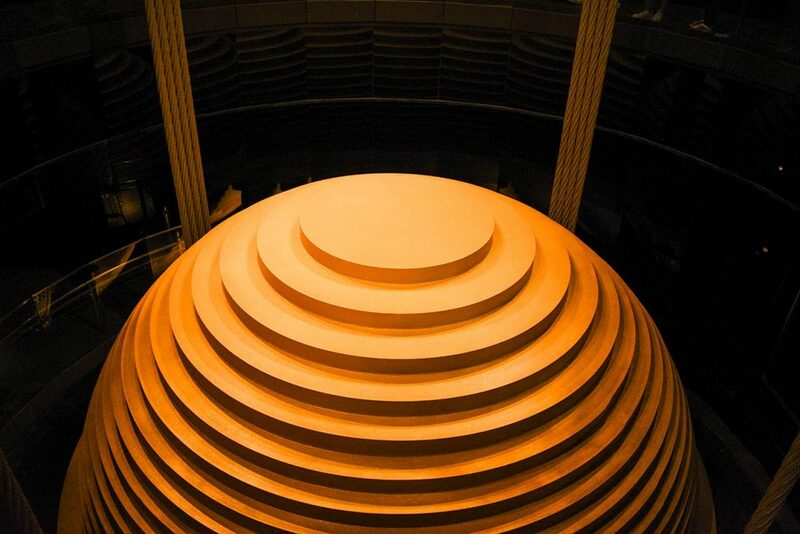 An engineering achievement, Taipei 101 was built to withstand typhoons and earthquakes, housing a massive steel wind damper. The wind damper is open to the public and you can see it after admiring the view from the top. Be prepared for your ears to pop as the high speed elevator shoots you to the 89th floor in a matter of seconds. 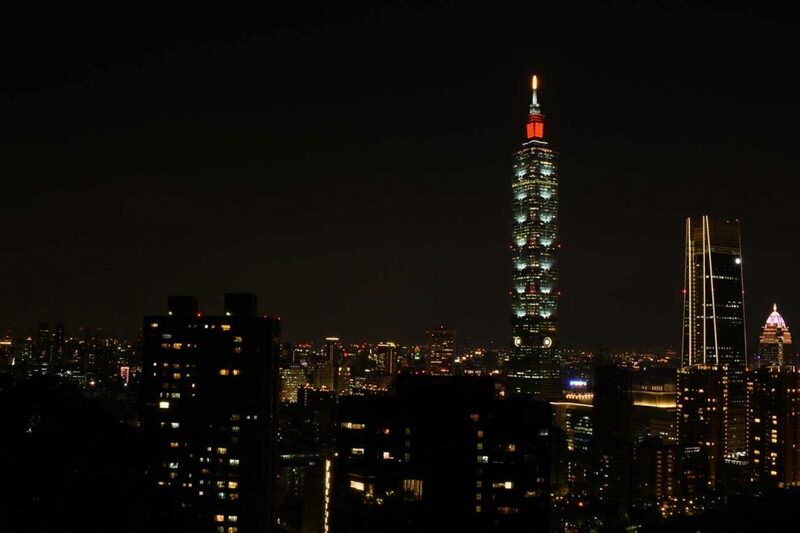 Taipei 101 is one of the best things to do in Taipei. No doubt about it. As with any major city, their museums are a great way to get insight into culture, history, and art. Taipei is no different. 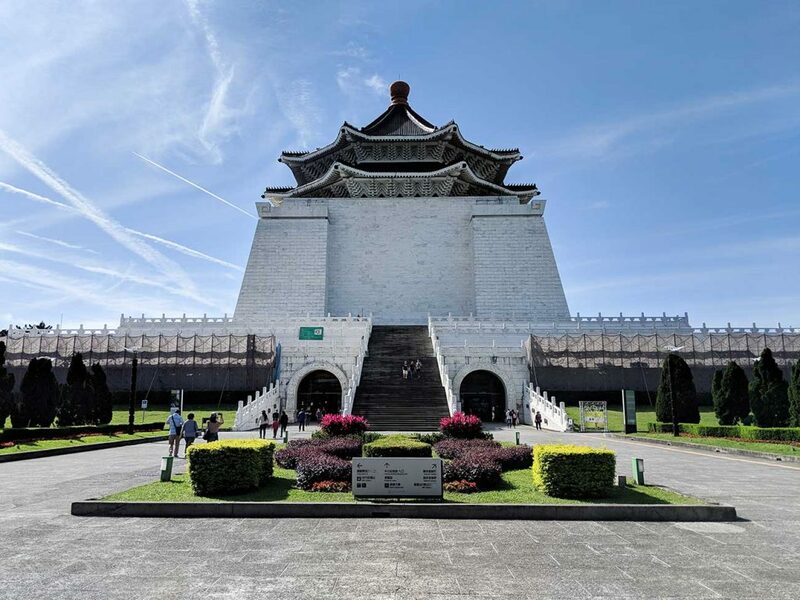 As a matter of fact, Taipei’s museums are some of the best things to do and need to be on your Taipei itinerary. We list them below but you can read more about each one in detail in our Taipei Museums Guide. Chiang Kai-Shek is a huge figure in Taiwan’s history and his military and political role had a huge impact on Taiwan. 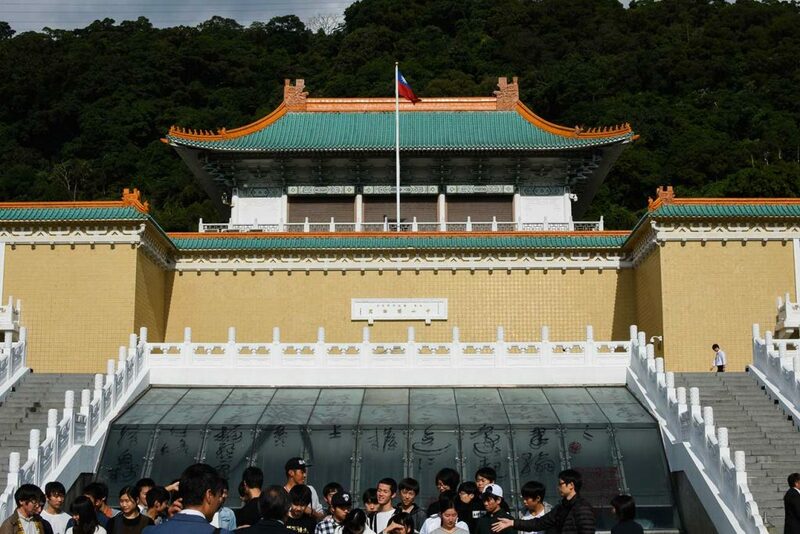 His memorial and the surrounding gardens are a must-see while in Taipei. Just a little outside of Taipei proper is the National Palace Museum. It has one of the largest Chinese art collections in the world. From pristine pottery to old calligraphy, there are many great artifacts to enjoy in this museum. Paper doesn’t sound like the most interesting subject but please visit this museum and see if it changes your mind. You learn about the old ways of making paper by hand and even get to make your own and take it home. The Contemporary Art Museum in Taipei isn’t the Museum of Modern Art in NYC, but it’s very close. While there aren’t any Van Gogh’s in the house, you’ll find the art forms of dance, film, crafts, and painting, all for around a $1 USD. The most noteworthy exhibit is a moving panorama of Captain Cook’s Pacific islands exploration. From the friendly meeting to the deadly end, it’s a thought provoking piece that you need to see. Wonder what it was like to live in Taipei in the 19th century? Check out the Lin Family Mansion and Garden for a look into the past. 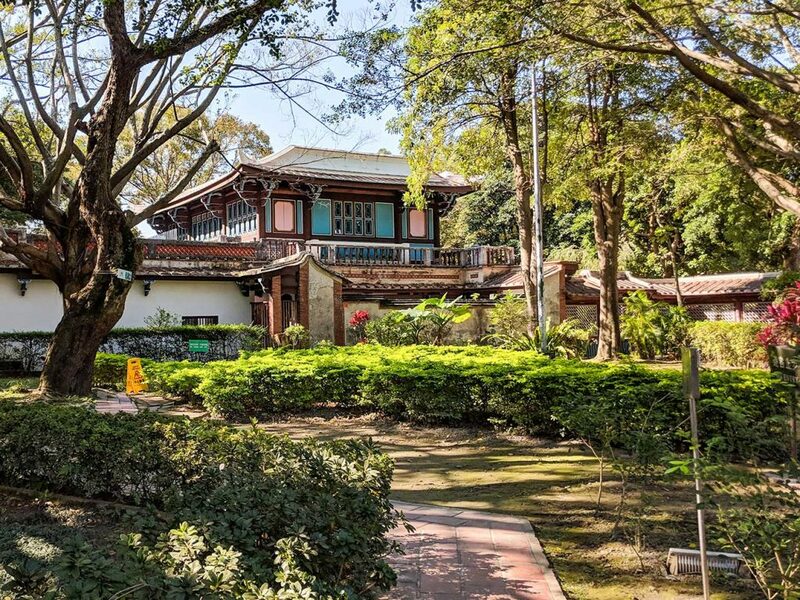 Walk through their large home and appreciate the intricate architecture and wonderfully designed gardens right in the middle of Taipei! Like xiao long bao, soy milk restaurants are a must-try food in Taipei. Whether it’s for breakfast or an afternoon snack, soy milk restaurants offer up an amazing meal. One of our favorites is next to the contemporary art museum. For a list of where you can find this deliciousness, read our post on soy milk restaurants in Taipei! You can reach Keelung by a 30 minute train ride. Situated on the northeast coast of Taiwan, Keelung is a less talked about but that shouldn’t be the case. There are so many great views from this port city. The Pacific Ocean is in full view, Elephant Rock is a short cab drive away, and there are golden waterfalls to be seen. There’s also a very popular night market here. Keelung was one of our favorite day trips from Taipei. 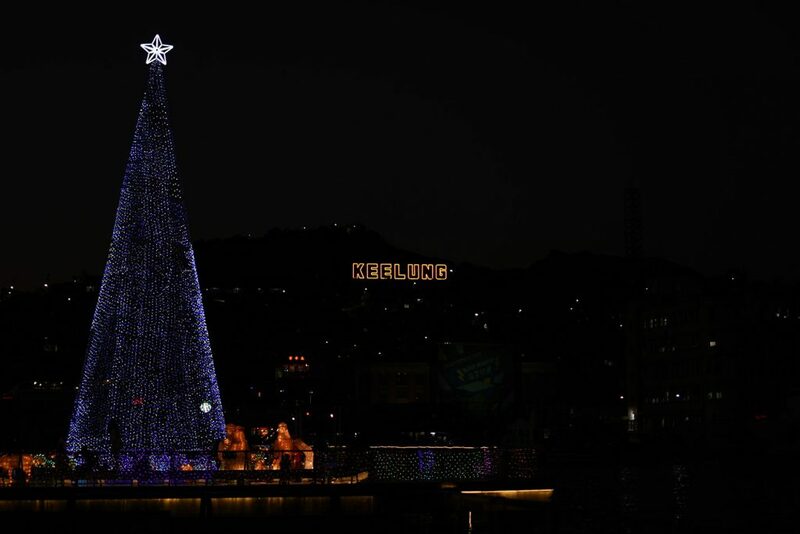 For more info on how to get there and some tips for what to do, read more about our experience in Keelung. 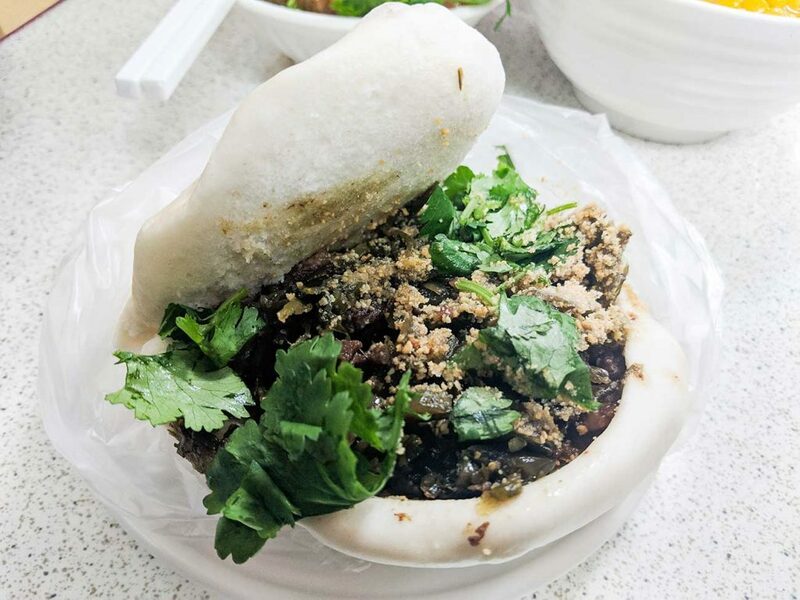 Known as the Taiwanese Snack or Taiwanese Hamburger, Gua Bao is so so delicious. We think it goes best with some corn soup and pork rice. 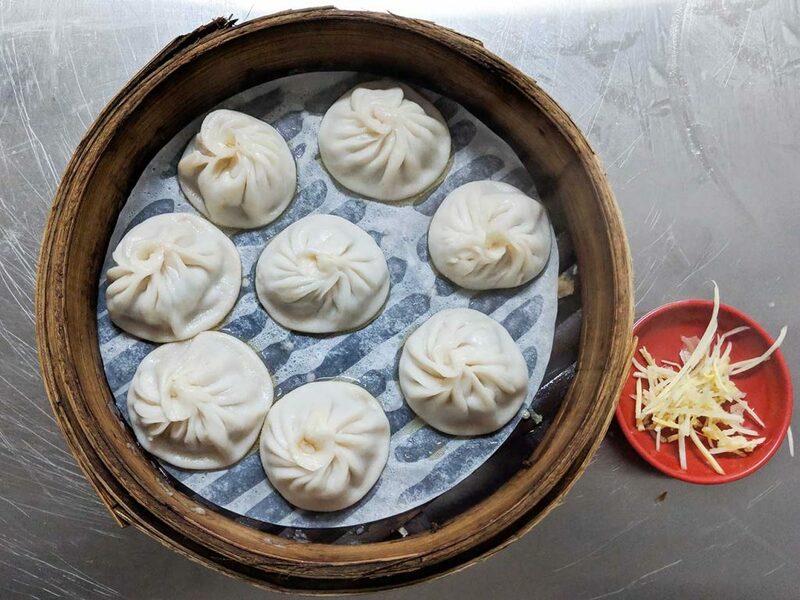 For the best Gau Bao in Taipei, check out our post on Taipei Food and you’ll see why it’s a foodie’s destination. The first thing to note is that Taipei Zoo is huge! Make sure to visit on a cooler day so you’re not exhausted (like we were). The best thing about the zoo is there are pandas! In addition to the pandas, there are a ton of animals here. Taipei did a great job with their zoo. Afterward, be sure to take the gondola up to Maokong Mountain (Tea Mountain) and try some tea. Ending your afternoon with some local Taiwanese tea and seeing Taipei 101 rise above the distant hills is magical. 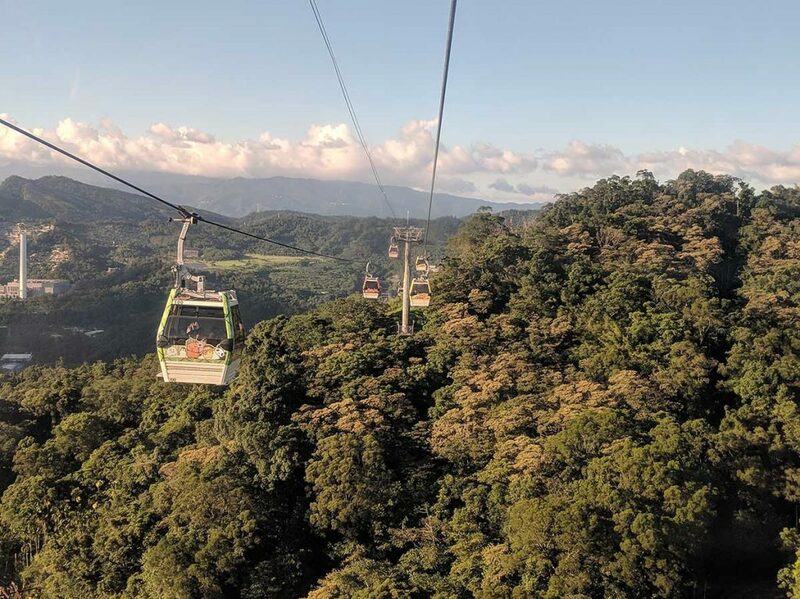 You can read about our experience at the Taipei Zoo and Maokong Gondola for more info. It makes for a perfect day! We’ve mentioned some food to eat in Taipei but what do you wash it all down with? Milk tea. Better yet, bubble milk tea. The chewy boba balls at the bottom of some sweet tea quickly became a favorite of ours. However, on days we weren’t feeling the boba balls in our tea, going with some green milk tea with sea salt foam was also a great choice. You can’t go wrong with milk tea in Taipei. Be sure to try it! Hands down the coolest national park we visited in Taiwan, you can reach Taroko National Park by train from Taipei in a couple hours. 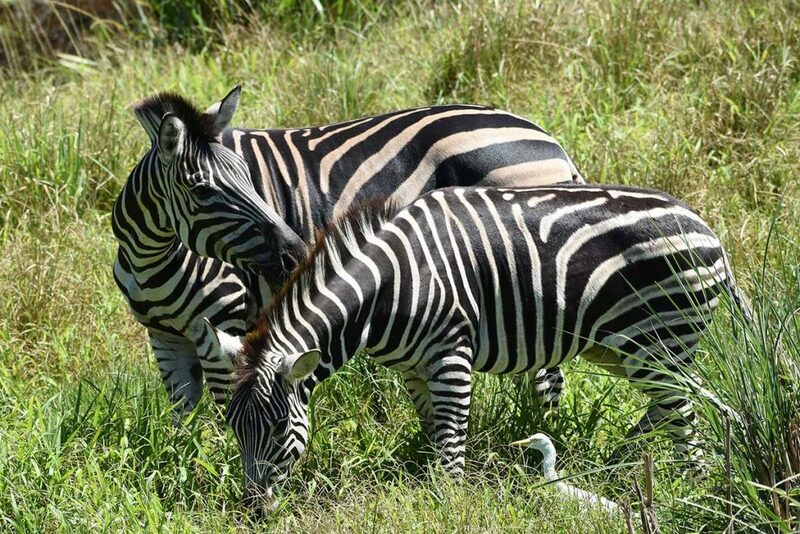 We managed to fit the park into a day trip and it’s quite feasible, although you will be tired. However, it’s worth it so do it! 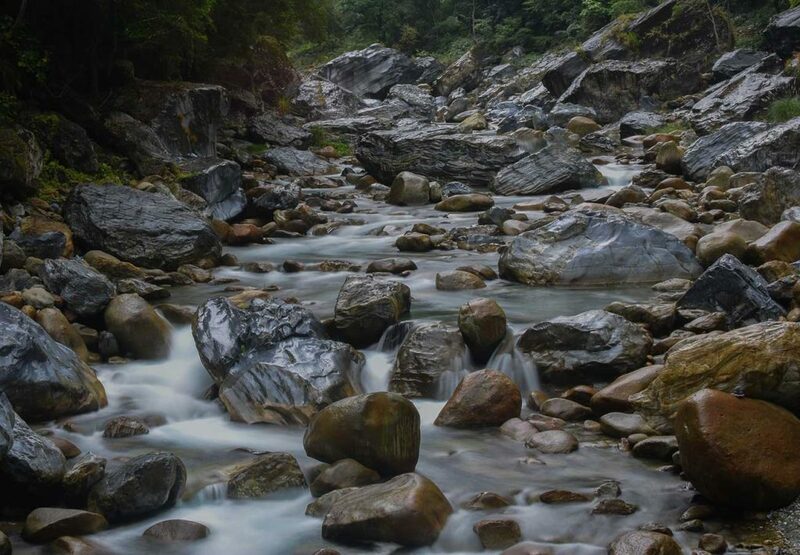 The water, the colorful geology, the waterfalls, the mountains, we could go on and on about Taroko National Park. In fact, we did say quite a bit about it. Read our post on Taroko National Park to find out how to get there as well as info on some trails. One of our favorite things to do in Taipei was to explore its parks. There are so many ways to immerse yourself into nature while still in the middle of Taipei. What made our walks through Taipei’s parks even better was the milk tea in our hands. 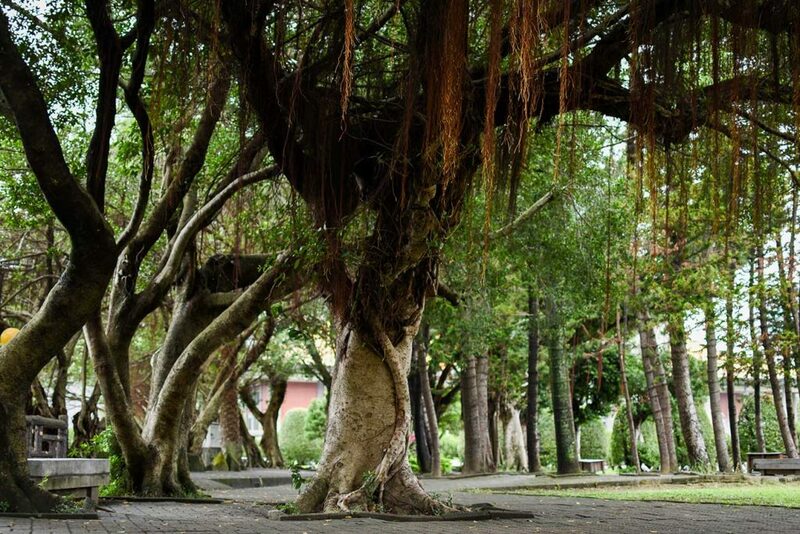 If you’re a nature lover like us or you just want a break from the noise and to watch some locals do Tai Chi, check out our list of parks in Taipei that we visited. It takes place on the weekends only, but the Jade and Flower Market is a lot of fun. Room after room after room after room after room…you get the idea. It’s huge. We’ve never seen so many dealers packed into one space. Be sure to bring your bargaining skills with you as haggling is the way it works here. 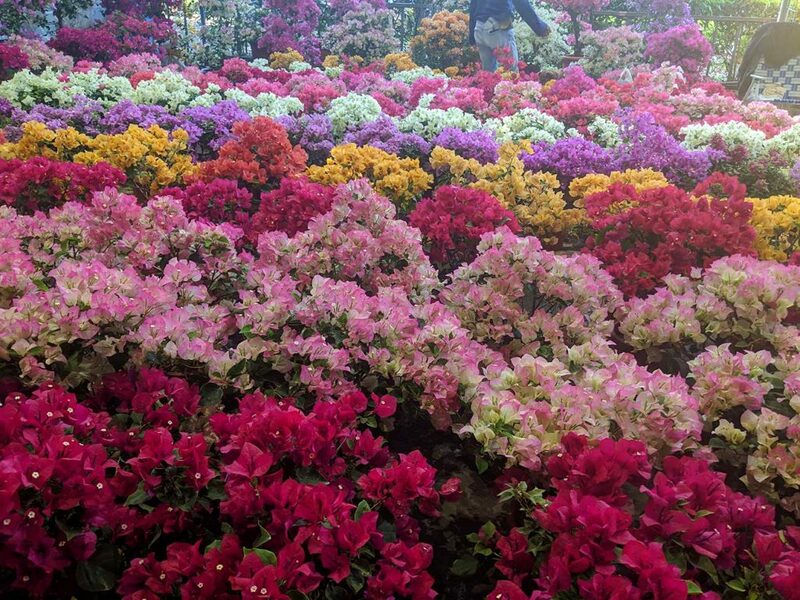 The flower market is even bigger with more open space and so many pretty things to look at. This requires working out some transportation plans but we recommend finding a taxi driver, bargaining a price, and having them drive you for a few hours. It won’t be expensive and you’ll have private transportation waiting on you where you need to go. Download the Line App and have Google Translator ready! Shifen Old Street is famous. It’s become quite touristy but that doesn’t take away from the fun. They offer lanterns with various colors. Each color has a special meaning like “wealth” or “happiness”. 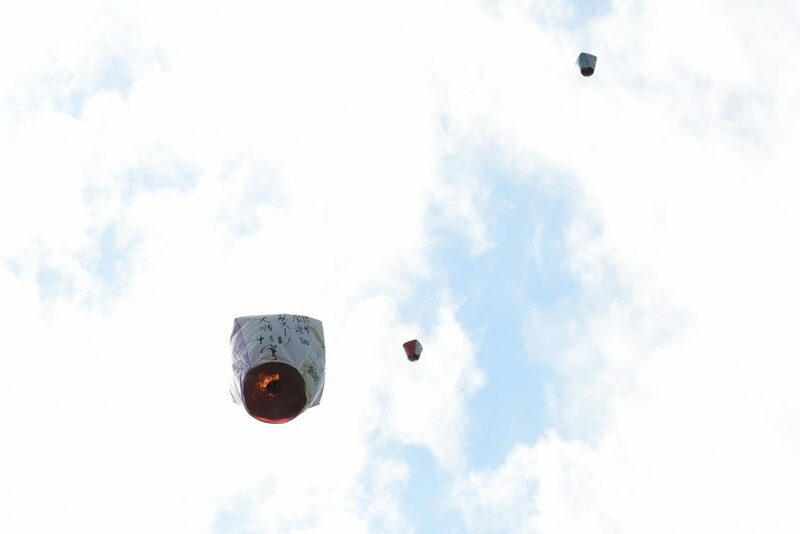 After writing your wishes on your lantern you’ll send it off into the sky. There are many food vendors nearby but we don’t recommend eating here as the prices are much higher. 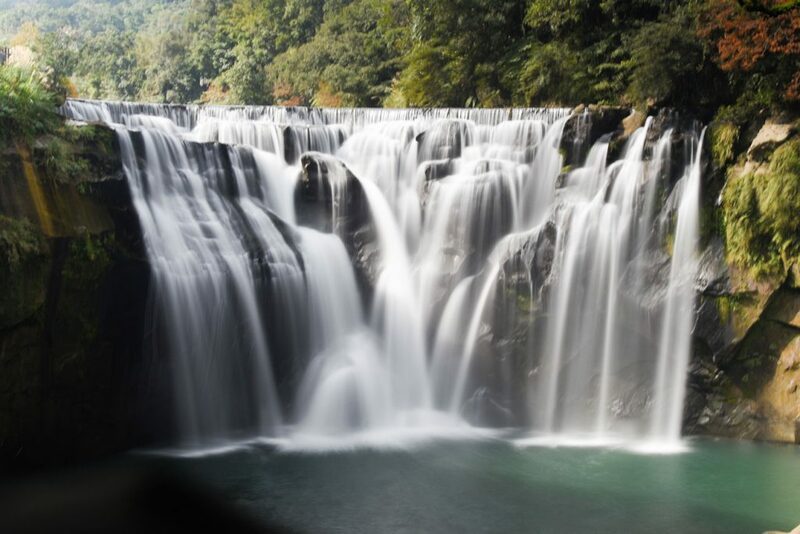 After Old Street be sure to check out the Shifen Waterfall. There are several viewpoints to observe from and each one offers a great picture. This is a beautiful area and is one of the best day trips from Taipei. Last but not least, no trip to Taipei, Taiwan, is complete without hiking Elephant Mountain. 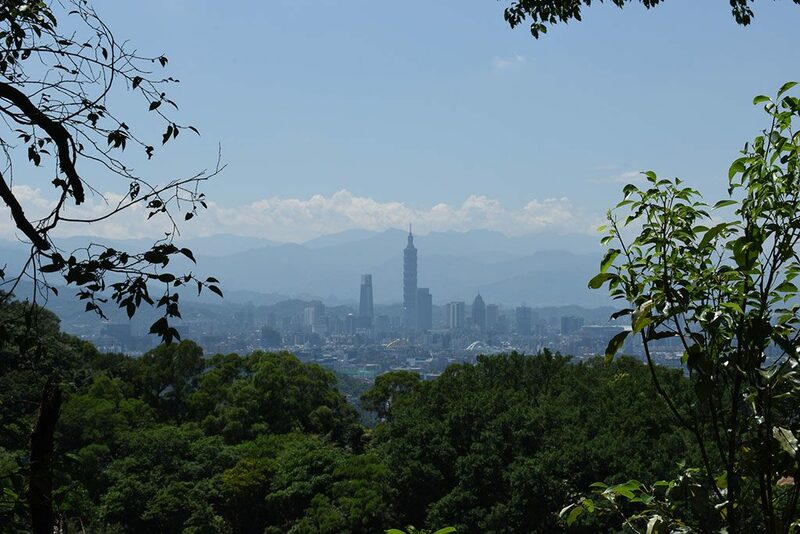 It takes about 15 minutes to reach the view point of one of the best observation spots in Taipei. However, while 15 minutes sounds short, it’s 15 minutes of stairs straight uphill. Prepare to feel the burn but you can do it! 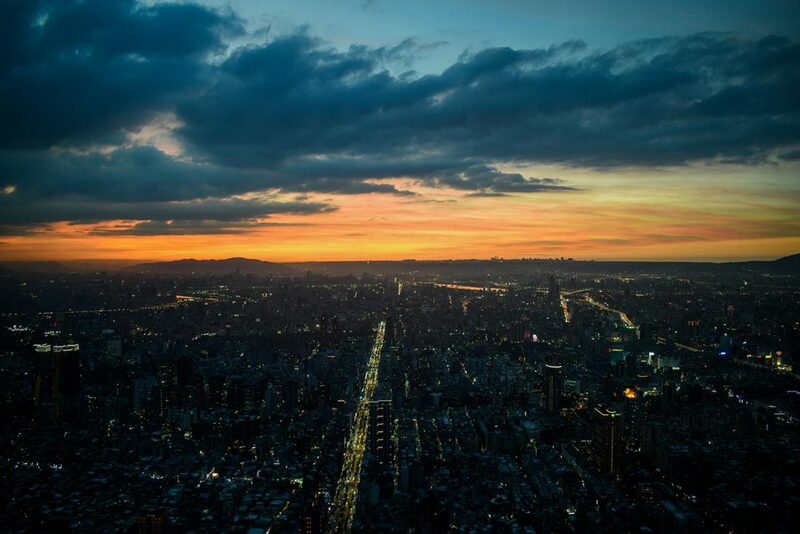 Our favorite time to visit was just before sunset and we liked to stay until dark, getting some great shots of Taipei at night. 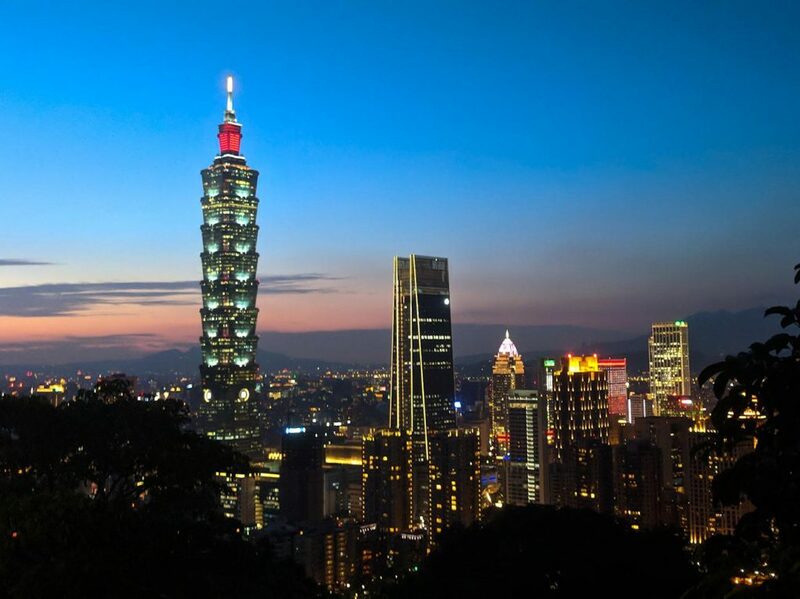 If you’re looking for an awesome picture of Taipei 101 then this is your spot! For more info and our tips check out our post on Elephant Mountain. 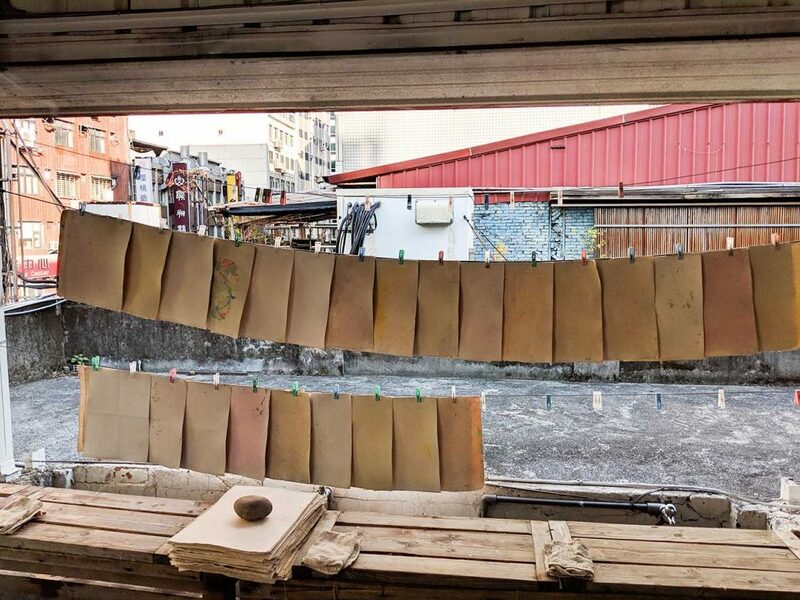 Our honorable mention is Jiufen Old Street. While some touristy places still maintain a cool vibe, Jiufen Old Street did not sit very well with us. 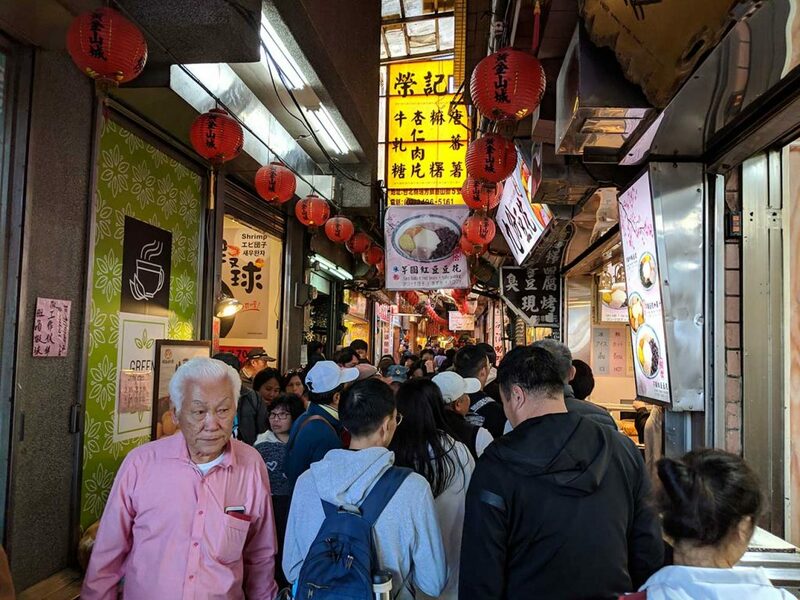 While the street was interesting to see and the views of Keelung in the distance were breathtaking, Jifuen itself was overpriced and overly crowded. However, we experienced it for ourselves so you should too! Mixing Jiufen Old Street with Keelung in a day trip from Taipei isn’t a bad idea! Whether you’re in Taipei for just 1 day (we feel sorry for you!) 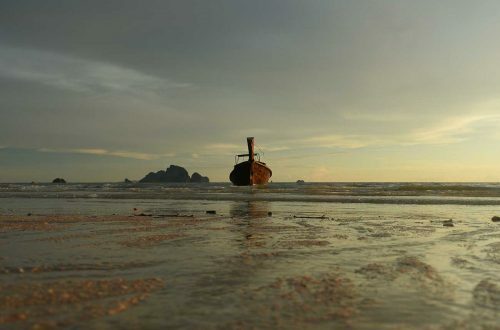 or you’re staying for a long time, your agenda will be filled with some great things to do. As we say in almost every post we write about Taiwan, the friendly Taiwanese people will happily welcome you to their home and you’ll leave with some awesome memories. I had a short layover in Taipe and didnt get to see much, sadly. I did notice on my way to the airport how green this city is. The waterfalls ad food look amazing! I will be putting Taiwan on my List for a proper visit! I would most definitely visit the night markets. I love them! And go to the top of Taipei 101. I love city night lights so this would be perfect for me. I also love Asian food and I would be all over the Xiao Long Bay!! 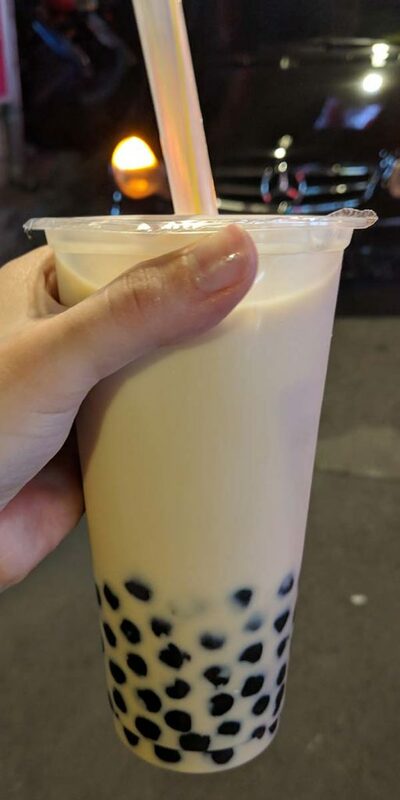 I think I would also like the Bubble Tea even though I’ve never had it before! And that Shifen Waterfall…LOVE IT! I’d love to visit the Paper Memorial. I saw a demonstration on making paper during an Asian science exhibit in.. Athens. It was so interesting! We are off to Taipei next month so this has got me super excited. I can wait to munch lots of xiao long bao and I’ve never heard of gua bao but it looks great. 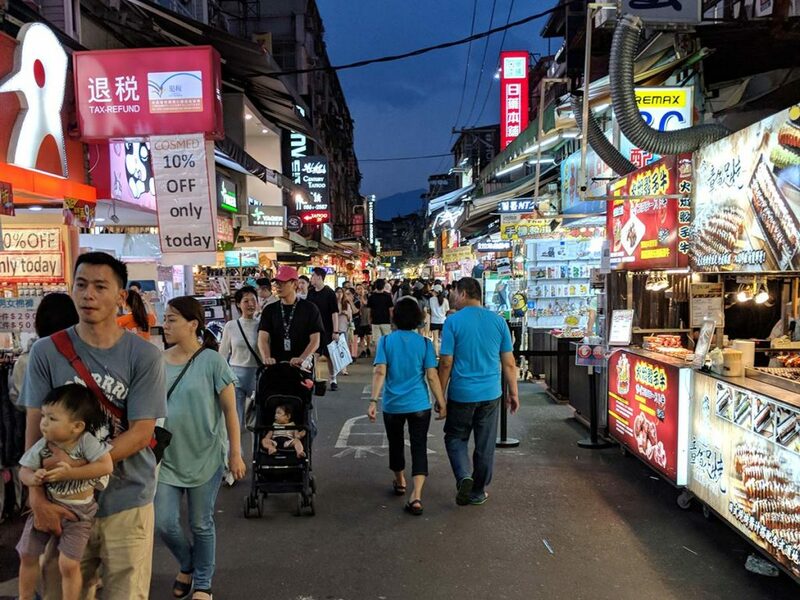 We were thinking of visiting Keelung’s night market. Did you go? Yes, we did! It was a lot of fun. Keelung is a great city with a lot to do so if you’re making a day out of it then try to see the coast and Shen’ao Elephant Trunk Rock as well. You’d have to take a cab to get there but it’s a beautiful spot. Have fun! It all looks fantastic! I would start by eating my weight in bao buns and then going to those fabulous museums. So many to choose from. You can keep the hike as shown in your first photo. While beautiful, I would be dead by the end of it. LOL Thanks for sharing Taipei. Wow, so much to see and do. I really do not know a lot about Taipei so this was interesting to see the diversity of options when visiting. Those dumplings looked amazing. Thanks for sharing. How long did you spend in Taipei? The milk tea sounds delicious. Night markets, yes please. And I love, like in Seoul, there are national parks and incredible views of the city, so near to the downtown. Green spaces make me smile. Those night markets are so cool! I’m not so sure about that elevator though. It’s crazy fast! We love trying traditional breakfasts when we travel. 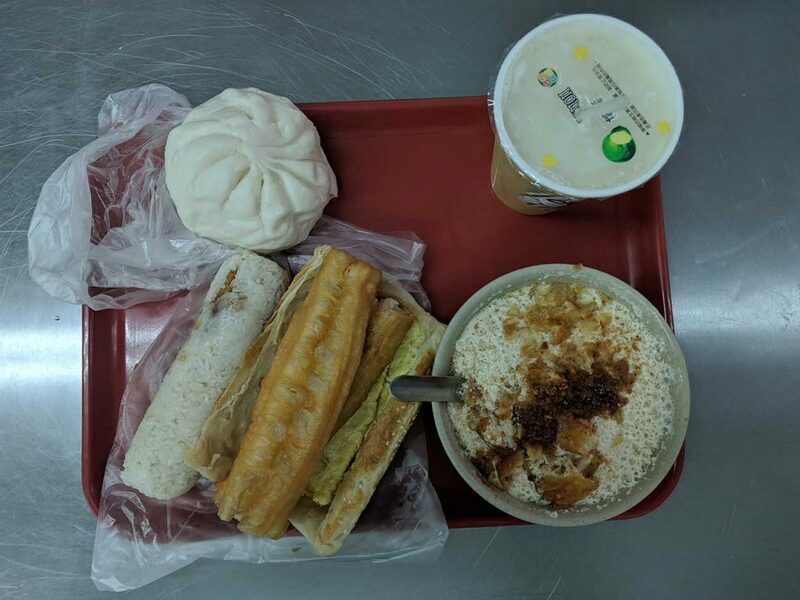 Many times its not much more than bread of some kind and coffee but breakfast in Taipai is so different. Would love to try it! Taipei sounds just amazing. What a fabulous variety of things to do. The day trips to the National Parks and the city parks really appeal to me. But that tower, Taipei 101?! What a view! Taipei has not really been on my radar but I can see why it is your favourite city! 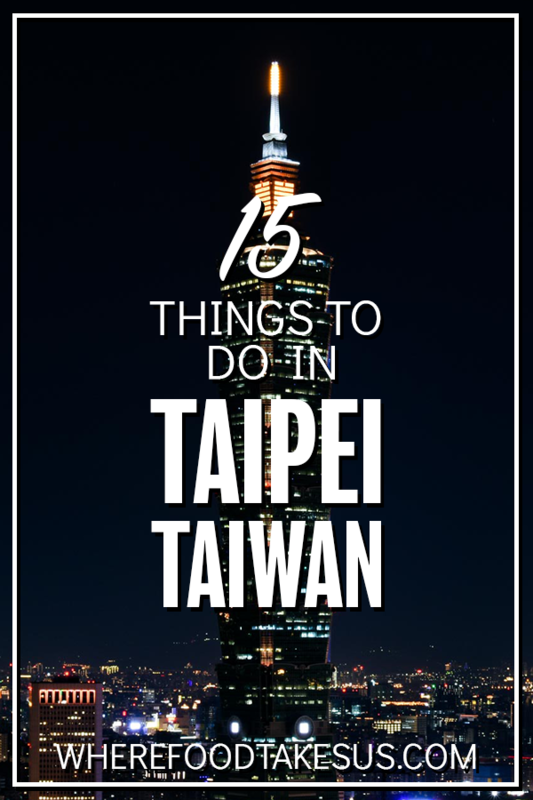 There certainly are a lot of things to do in Taipei. I can see why you love going to the parks but the waterfalls blow me away. There are so many beautiful falls to choose from. Taipei looks like a beautiful city.